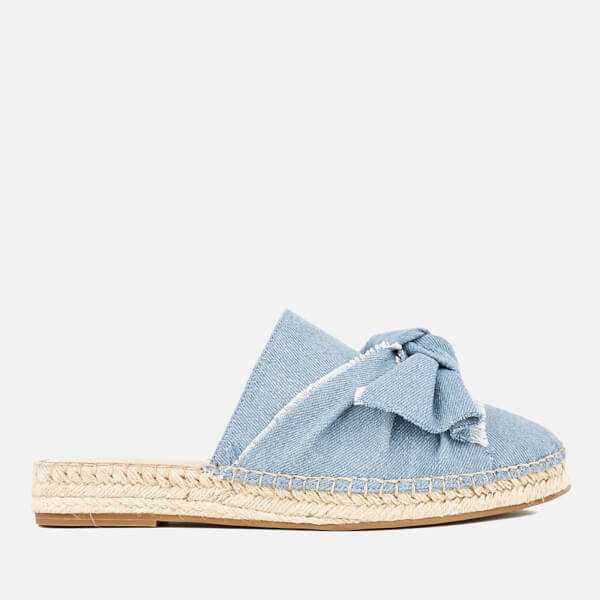 ‘Niamh’ denim espadrille sandals from KG Kurt Geiger. 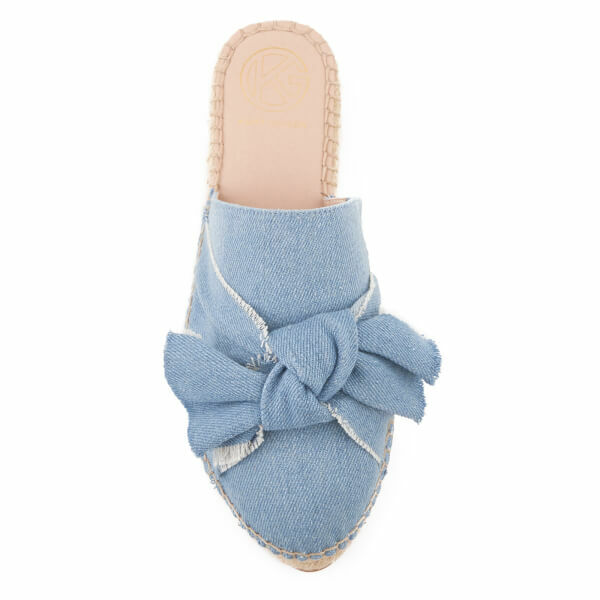 Forming an effortless slip-on design, the flat mules are made from lightweight denim uppers with subtle distressed detailing and an oversized bow detail. 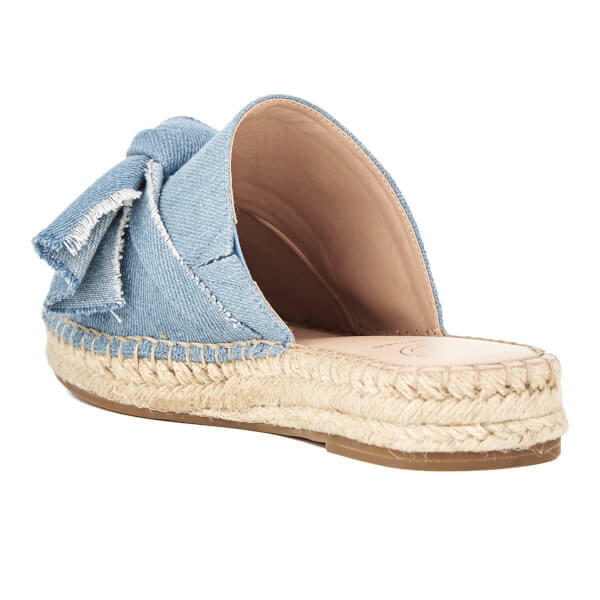 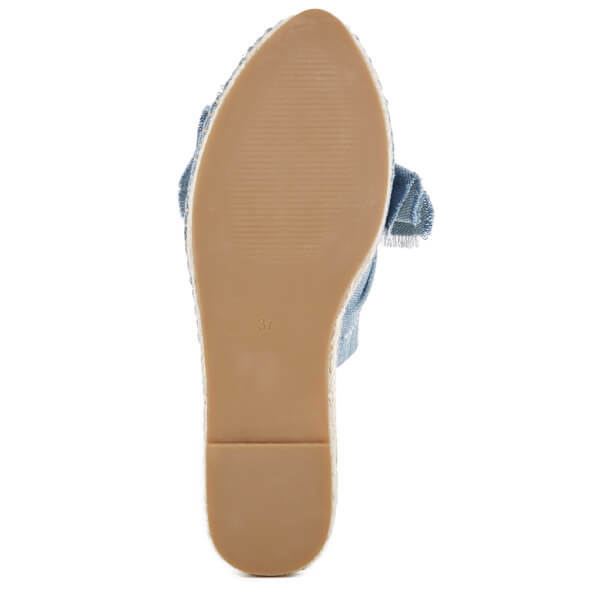 Set upon a woven jute midsole and rubber outsole.